​An Opportunity Provided by Wilson Pride, Inc.
Wilson Forever Fund Established in 2015, was created as a means to retain philanthropic and inheritance funds to a local source, creating sustainability for future generations of projects to benefit Wilson and surrounding communities. 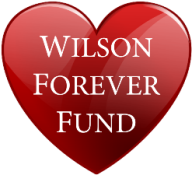 The Wilson Forever Fund is a Field of Interest Fund under the county-wide umbrella of the Smoky Hills Charitable Foundation. The fund, which is overseen by an advisory board, is dedicated to making grants specifically targeted to serve the Wilson, Kansas population. Would You Like To Contribute? Your endowed gift can help make the community of Wilson a safe, sustainable, healthy, and thriving place to live, work, and grow. Your gift is for now and for future generations. Your gift is perpetuating the future of Wilson, Kansas, and illuminating our mission.